Versatile combination mower that can be either battery powered or mains powered. Use the mains connection for mowing near the house and then switch to battery power for remote garden areas where the mains lead can't reach. 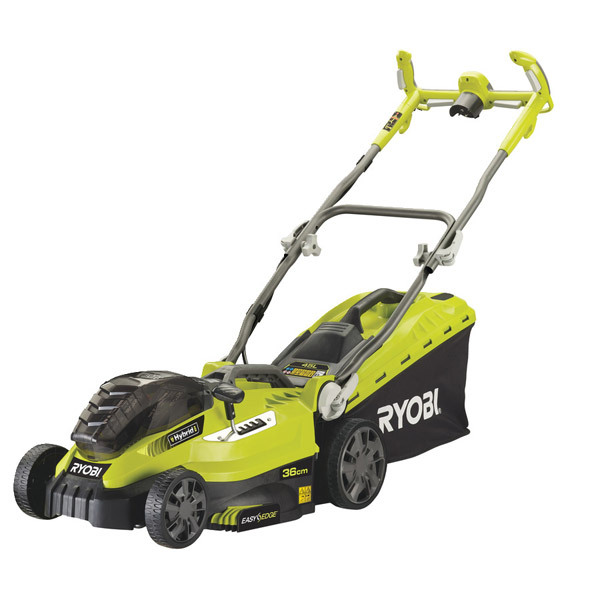 • 36V Hybrid mower, powered either from 2 x 18V Lithium batteries or by 240V mains using cable provided. Powerful Performance: With a cutting deck of 36cm and EasyEdge™, the Hybrid Lawn Mower offers powerful and efficient cutting. ONE+™ Compatibility: The performance of 36V - powered by dual 18V batteries. As part of the ONE+™ System you can use the same battery in over 40 different power and garden tools. This innovative mower is designed with flexibility in mind. With the new Hybrid range from Ryobi®, you can now get the best of both worlds with both mains and cordless power allowing you to work just about anywhere! The Hybrid Mower is also the latest addition to the ONE+ System. The world’s number 1 cordless tool system where one battery powers multiple garden and power tools. The mower is cleverly designed to make set-up, use and storage easy for you. The unique Vertebrae™ handle design, with multiple handle positions and adjustable height means your comfort is never compromised and ensures fatigue-free usage even during long periods. 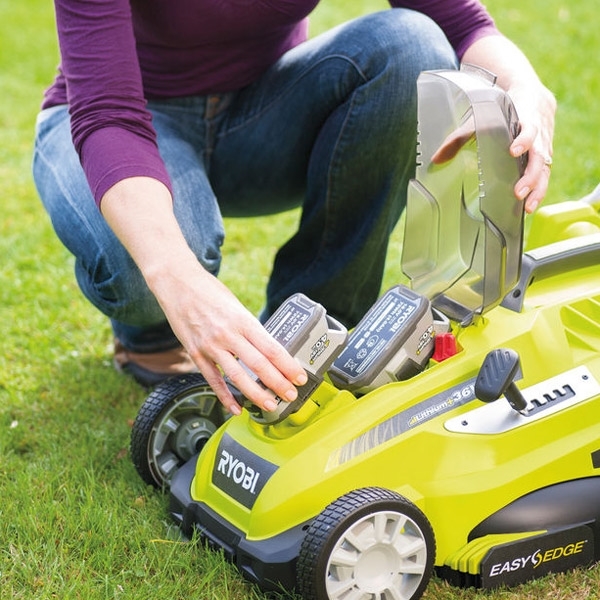 Putting the mower together is easy and convenient, with an assembly time of 5 minutes or less straight out of the box. The quick release fold down handle and collapsible 45L grass catcher also makes the mower easy to store in small spaces. The aerodynamically optimized cutting deck with a 36cm metal blade provides excellent cutting and mulching performance. 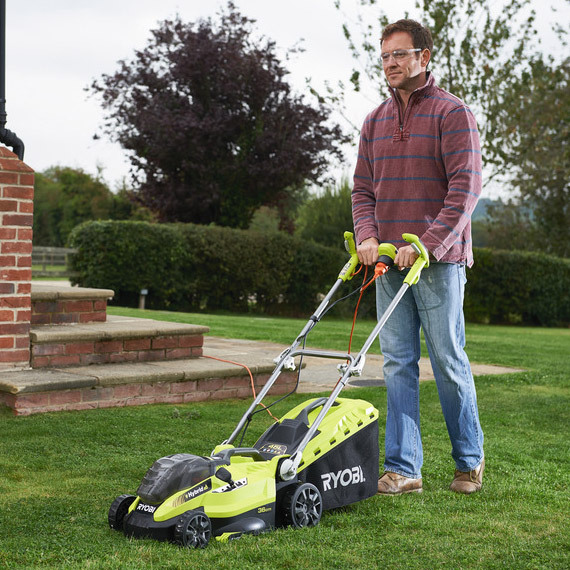 The mower also incorporates Ryobi’s own EasyEdge™ feature which allows users to cut perfectly along edges, ensuring consistent and neat cutting results.